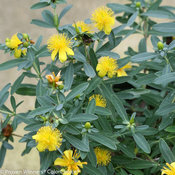 Cool blue foliage for sunny landscapes! Attractive blue-green leaves contrast with bright yellow sunburst-like flowers in July and August. 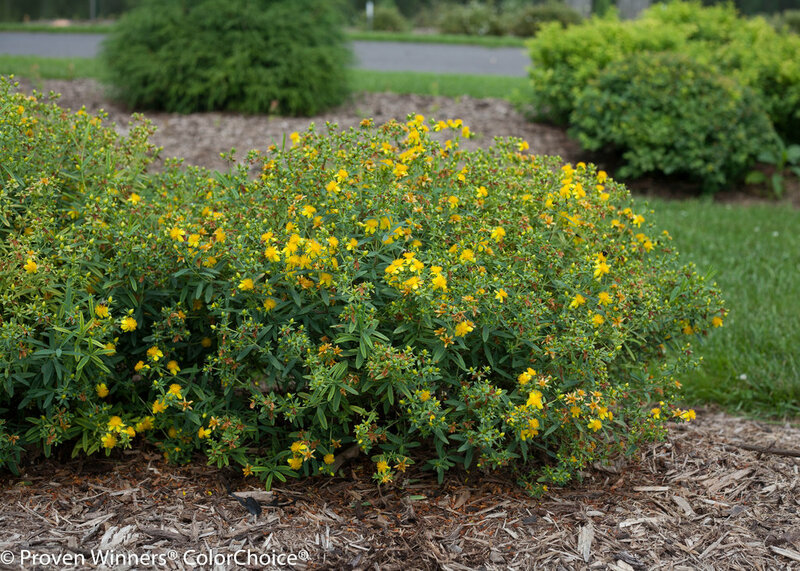 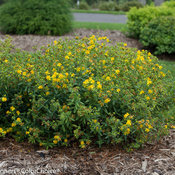 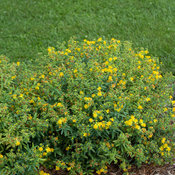 This deer-resistant little shrub is a very low-maintenance and colorful option for landscaping, especially edging beds and walkways, or as a ground cover. 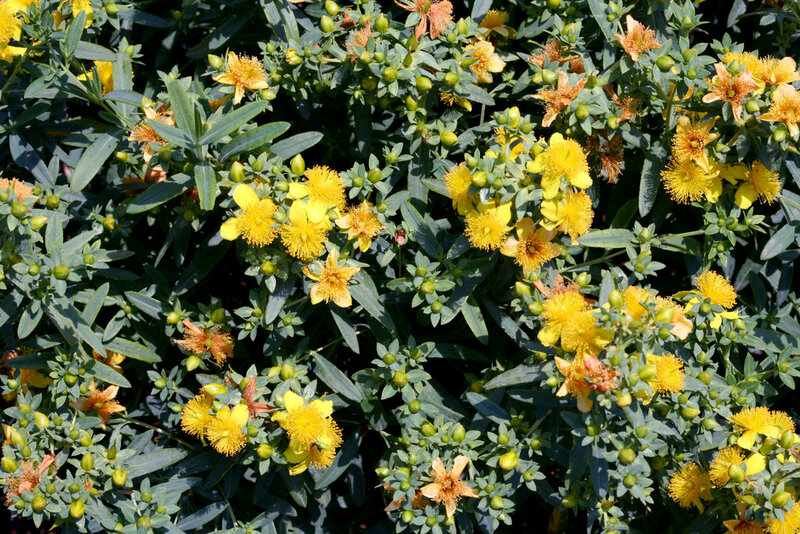 And it's native to North America! 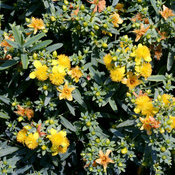 - Very low-maintenance: rarely needs pruning, never needs deadheading, stays neat and tidy. 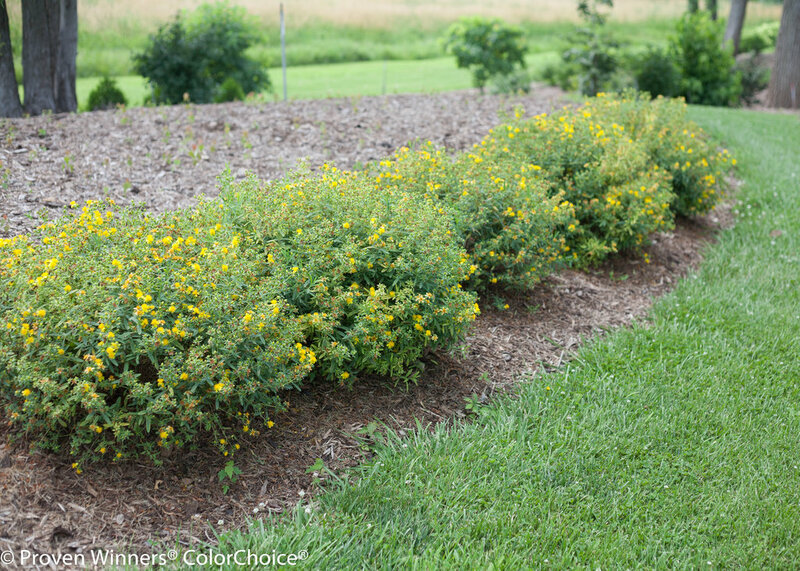 Best in moist, well-drained soils. 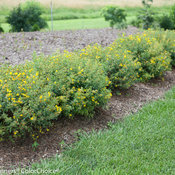 Will tolerate some drought once established. 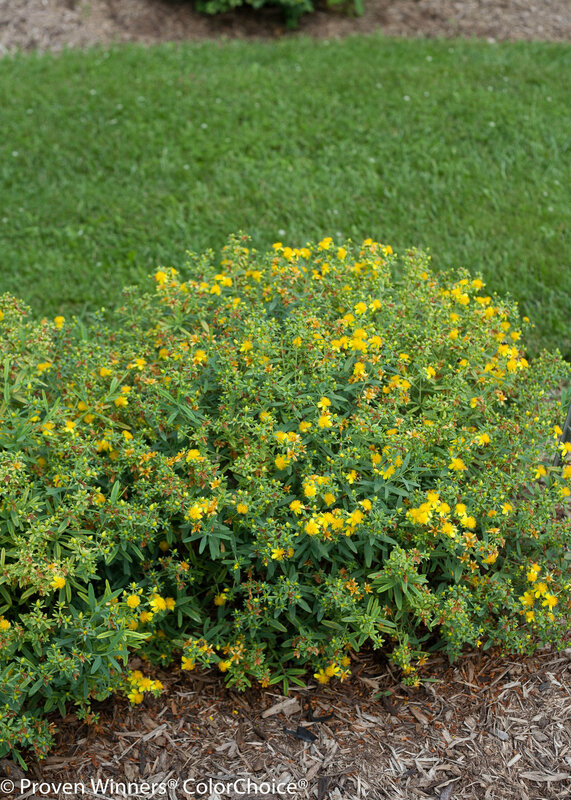 May be trimmed to shape in early spring.